Just about every musician has those moments when they get stuck in overly familiar territory or unsure where to turn next. When in doubt, it helps to consider: WWMDD (What Would Miles Davis Do)? If following the Chief's example (understandably) isn't a universal rule in real life, it's still a mostly good one in the musical world. 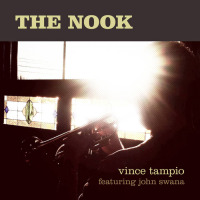 For trumpeter Vince Tampio, that means changing musical gears the way someone else might put on different pants. When not playing around Philadelphia in several ensembles that deal in funk, Irish folk or '60s soul, he's busy teaching, serving as studio sideman or working on the odd TV score. How does one unwind in the downtime between all those gigs, you wonder? Apparently, it's often by breaking out some synth gear and dabbling in electronics. Light beat-programs underpin a good chunk of Sound Plan with some trippy textures, though Tampio's playing doesn't abandon any tasteful restraint or human warmth in the process. He doesn't touch his horn at all until the first song is nearly overfirst it features a jittery, gliding romp made for a quirky dance floor. The following "Slimery" goes from soft, jazzy R&B to lush psychedelic crescendo; with the experimental "L.T." in the late stretch it's a matter of chill patient drone mashed up with groovy bass and Indian percussion. The rhythm rests somewhere between the trance of EDM/IDM and the more organic feel of live music. These programmed grooves never stay in the same loop for too long a time, and even when they're static for a stretch, Tampio always makes sure there's something else going on. The rhythm is spiced up with a range of live elements from cowbell to light percussion. His horn croons and wahs with touches of funk or blues, bridging the futuristic digital age with a snazzy sense of classic cool. 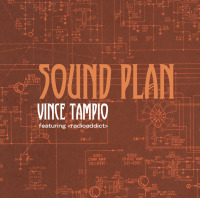 Sound Plan is the sound of worlds colliding in adventurous ways, often fun and always fascinating. Track Listing: Sonic Ember; Slimery; Afternoon; The Phantom Sweet Potato; L.T. ; Sound Plan. 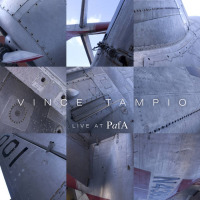 Personnel: Vince Tampio: trumpet, synthesizer, acoustic guitar, electric bass, cow bell, cymbal, tambourine; Ben Diamond: bongos, congas, cymbal, shaker, tabla, percussion.